Are you currently a Rooms4U tenant? Have you got a mate who’s looking for quality student accommodation in Liverpool too? 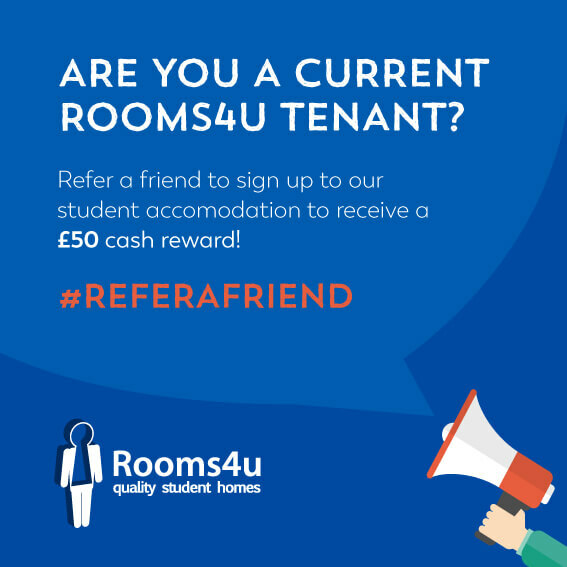 If you refer a friend to us and they sign up for a property you can earn £50*! £50 cash per Property successfully referred and signed up. The prospective tenant must mention you and the referral prior to their sign up. For all tenancies dated 2018/19. Offer begins 23 February 2018 and expires 31st May 2018.